As a training manager, you seek to develop an eLearning course, within a short period of time, at low cost. But, how can you do so? How can you get a good value for your precious money? 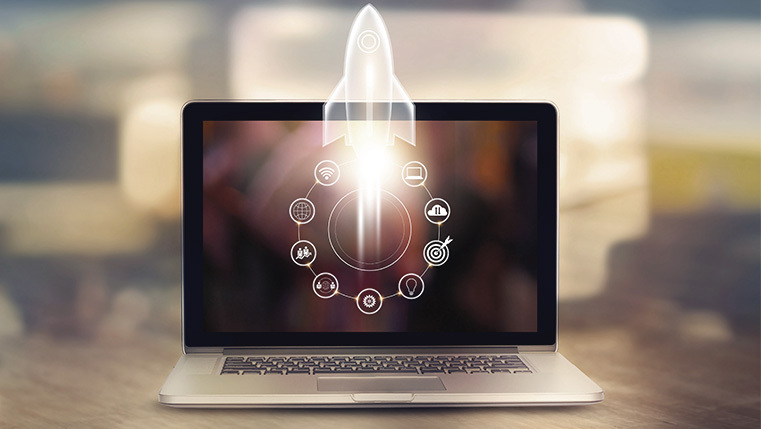 Well, the answer is simple – rapid eLearning. Rapid eLearning, unlike traditional eLearning, reduces the time taken to develop a course to a large extent. It uses certain tools like Articulate Storyline, Articulate Studio and Adobe Captivate, which do not require expertise in programming, and thereby reduces the number of steps involved in the development of an eLearning course. 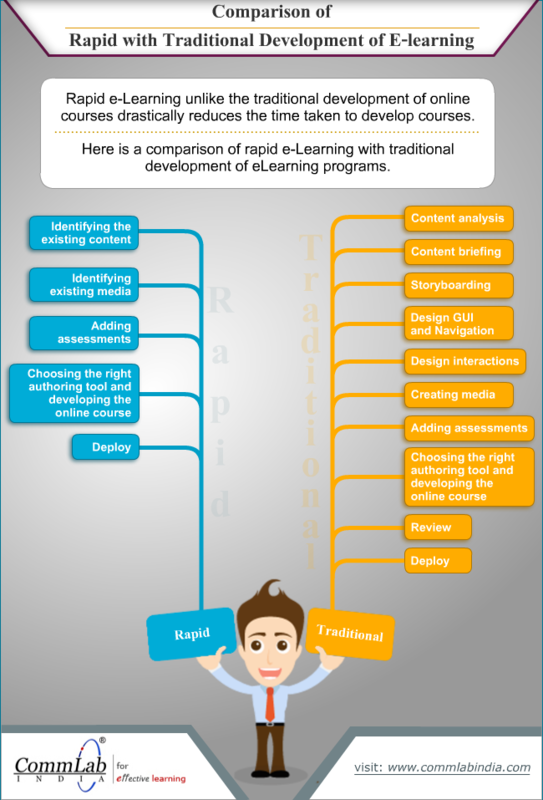 Here is an info-graphic that compares rapid eLearning and traditional eLearning. Hoped you liked this post. Please share your opinions on the same. Rapid e-Learning: Advantages and Disadvantages!